Tauris Parke Books, 1996, Hardback in Dust Wrapper. Condition: Very Good — in Very Good Dust Wrapper. A little rubbing to the edges of the dust wrapper which is very slightly pulled at the head of the upper panel and a short, closed, tear to the foot of the same. Text complete, clean and tight. From the cover: “In the summer of 1918, Tsar Nicholas II, his Tsarina Alexandra and their five children were executed by firing squad at Ekaterinburg. 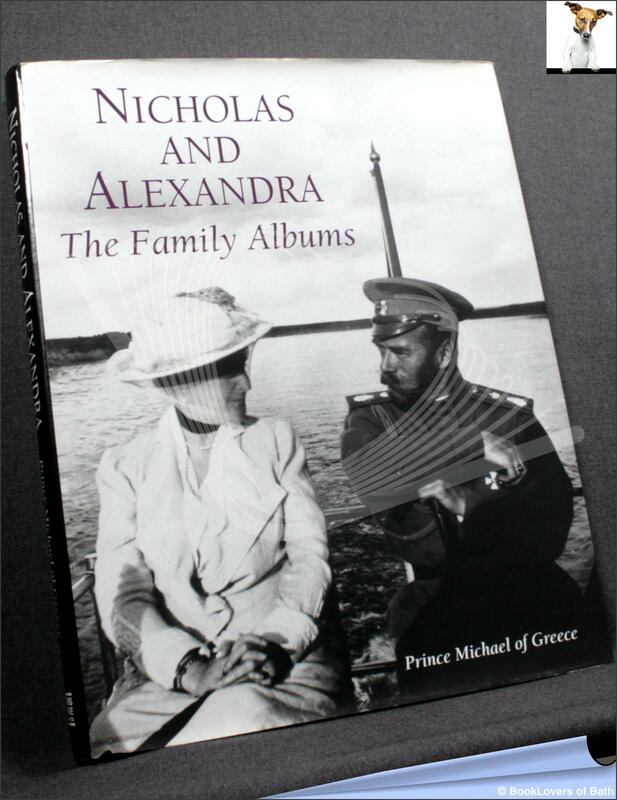 The unique and revealing photographs in this book illustrate the intimate family life of the last ruling Romanovs from 1896, shortly after the marriage of Nicholas and Alexandra, to the family’s house arrest at Tsarskoye Selo palace in 1917, shortly before their death. These photographs have been selected from thousands taken by the Tsarina and her five children, which were mounted in their own and the Tsar’s personal albums. The albums have until now remained hidden for over seventy years in government archives in Moscow. Whilst researching his book Imperial Palaces of Russia in the Autumn of 1990, Prince Michael of Greece was puzzled by an invitation to view material in the government archives. Thirty thick, leather-bound volumes, embossed with the Imperial monogram, awaited him -the private photograph albums, which the curators wanted to show first to a relative of the Romanov family. Through his selection of images from the family albums, the author here tells the story of the last Tsar, one of the saddest of twentieth-century politics. Nicholas II was a man both unprepared and ill equipped to rule the greatest empire in the world, and under the influence of Alexandra, the wife he so adored, he led Russia to disaster. But theirs was also an extraordinary love story, as the three hundred photographs in this book reveal. Away from the responsibilities of Empire, we see a close and loving family of simple tastes and great candour. The photographs clearly illustrate the personalities of Nicholas and Alexandra and of their four daughters -Olga, Tatiana, Maria and Anastasia — and beloved son and heir Alexis, who suffered from haemophilia and whose every move was carefully watched. Foreword or introduction by B. I. Kaptelov. Size: 12" x 9¾". Black boards with Gilt titling to the Spine. 240 pages.